All HEATHERBROOK AT WESTBROOK homes currently listed for sale in Peoria as of 04/19/2019 are shown below. You can change the search criteria at any time by pressing the 'Change Search' button below. "COME VIEW THIS LOVELY HOME LOCATED IN THE WONDERFUL COMMUNITY OF WESTBROOK VILLAGE. THIS 2 BEDROOM SPLIT FLOOR PLAN OFFERS SO MANY COMFORTS OF HOME! 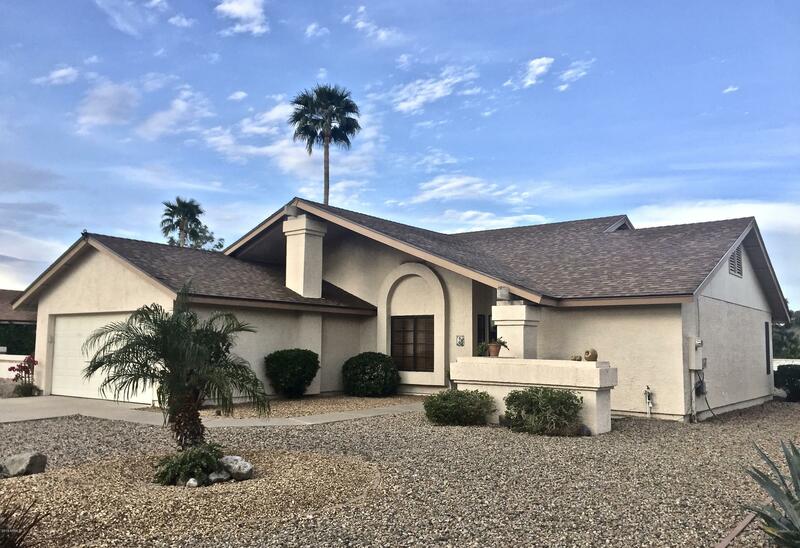 ENTER IN TO A WONDERFUL VIEW OF FRESHLY PAINTED WALLS 2019, UPDATED CARPET 3/2019 AND VAULTED CEILINGS. RELAX ON YOUR FRESHLY COATED BACK PATIO 2019 AND ENJOY YOUR NICE SIZED BACK YARD WITH 3 TYPES OF FRUIT TREES! OTHER PROPERTY UPDATES INCLUDE ROOF REPLACED 2016 AND WATER HEATER 2016. YOU DON'T WANT TO MISS OUT ON VIEWING THIS ONE! BUYER TO "